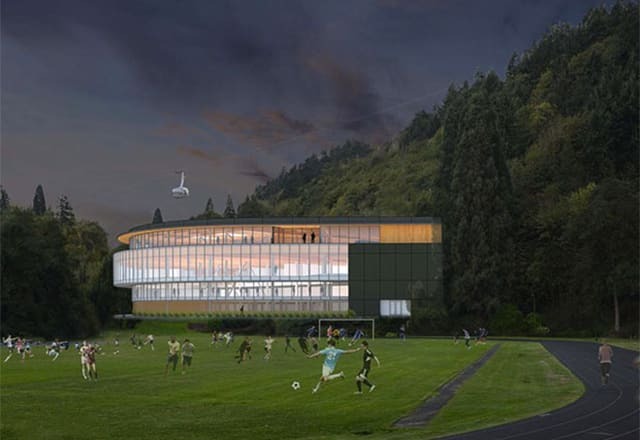 Are Under Armour's New Offices in Portland, Oregon A Statement of Intent Aimed At Nike? Under Armour’s rise in the sportswear market has been remarkable to say the least, it helps that they currently have two of most exciting athletes (Anthony &apos;AJ&apos; Joshua and Stephen Curry) on their endorsement roster. As their brand continues to reach new heights it means that they’re expanding their base of operations, the latest expansion takes them to Portland, Oregon, a.k.a Nike territory. Even though their office is still a year away from opening it’s pretty big news. To the unknowing mind this is natural growth, after all to be a successful brand one must expand their estate. But if you look a little closer you have to ask yourselves: “Is this an open challenge to the heavyweight champions of sportswear?”. When we say challenge, we highly doubt that Under Armour CEO Kevin plank will be sending Joshua to Phil Knight’s doorstep (although you never know), nor are they engaging in any questionable marketing campaigns, but it certainly does appear like a statement of intent. Basically Under Armour appears to be telling Nike that there’s a new contender in town, ready to upset the natural order and they won’t be intimidated. They are the Leicester City/Atletico Madrid of sportswear. Still, Nike shouldn’t feel threatened just yet, they’re still ranked as one of Forbes&apos; most valuable brands, even outdoing luxury fashion labels like Louis Vuitton. Additionally they have the likes of LeBron James and Cristiano Ronaldo, easily more marketable and established than AJ or Curry at this moment in time. It should also be pointed out that Nike’s closest rivals, adidas, already have their own base of operations out in Portland, so maybe the town is big enough for all three to coexist. But as stated before Under Armour are on the rise, the heavy focus on sports performance apparel has made them a brand for The Big Three (Nike, adidas and PUMA) to start sweating about. The impending opening of Under Armour’s new offices also means that it will potentially create about 100 new jobs. To be honest it seems like the real winner in this situation is the State of Oregon.